You'll be £19.99 closer to your next £10.00 credit when you purchase The Great Train Robbery and the Metropolitan Police Flying Squad. What's this? The Squad that investigated The Great Train Robbery. "The Old Grey Fox" or "One Day Tommy" (Detective Chief Superintendent Tommy Butler) selected six of the best officers on the elite Metropolitan Police Flying Squad to investigate the Crime of the Century, but whilst many books have been written by and about every criminal arrested for this crime, NONE have been written about the detectives who traced and tracked them. Tommy Butler delayed his retirement to complete the job, but died a few months after he retired at 57 years of age, the only detective of his rank in the late 1950s and 1960s not to publish an autobiography. This book provides a detailed account of the men tasked with tracking down the most notorious thieves in British history. It examines the investigation in detail and asks how it would contrast with the methods used today should a similar incident take place. 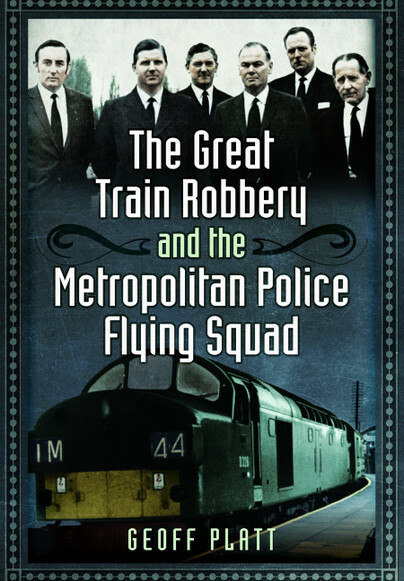 There have been dozens of books, films and TV programmes about The Great Train Robbery, but this one is different. First, it places greater emphasis on the detectives who investigated it and second, it's not a simple narrative but more of a reference guide to the events and people. It has tables and lists of the villains, the charges against them. For the other side, there are biographies of the Flying Squad and other officers most directly involved and recollections of half a dozen Buckinghamshire constables. Some interesting insights into how the case of one of Britain's most audacious robberies was solved, complete with input from some of the surviving investigating officers.